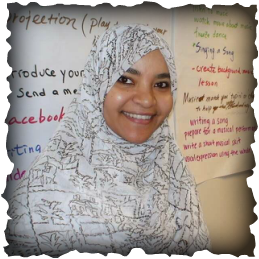 My name is Naima Mustapha I have been teaching Arabic as a foreign language since 2002. I graduated with a B.A. in History from Al-Azhar University. I also have a Masters degree of Education in the World Language Instruction from Concordia College, Moorhead MN. I am extremely passionate about the Arabic Language and culture and I am looking forward to work with my students to develop a love for the lifelong learning of Arabic. I will be posting our classroom expectations, policies and other important information regularly on our class website. Please feel free to contact me if you have any questions, concerns or feedback. I look forward to meeting and working with you and your child.